Our mission is to serve northern gardeners through education, encouragement and community. Established in 1866, the Minnesota State Horticultural Society (MSHS) is one of the country's oldest horticultural societies. Gardening in the North can be challenging, and we seek to help new and experienced gardeners alike have positive experiences with plants and success in their gardens. We seek to help the community and our members - novice and experienced - learn how to grow plants in our challenging northern climate, become better gardeners and positively impact the environment. We connect people and plants. Through our ongoing educational and community outreach programs, we provide knowledge and plants to help gardeners grow their own food and beautify their neighborhoods. We inspire people to become better gardeners and community members by sharing the stories of other gardeners, providing simple solutions for starting a garden and promoting the benefits plants have on people. Northern Gardener is the only magazine edited exclusively for gardening in USDA Hardiness Zones 3, 4 and 5. It's Minnesota's only homegrown gardening magazine that's written by people who garden here. Each issue is filled with timely columns and feature articles that cover all areas of gardening and skill level. Our award-winning magazine, which includes a digital edition, is one of the many benefits of being a member of MSHS. Minnesota Green coordinates donations of plants, seeds and gardening tools from growers, garden centers, seed companies, individuals and groups and redistributes them to community and public space gardens. 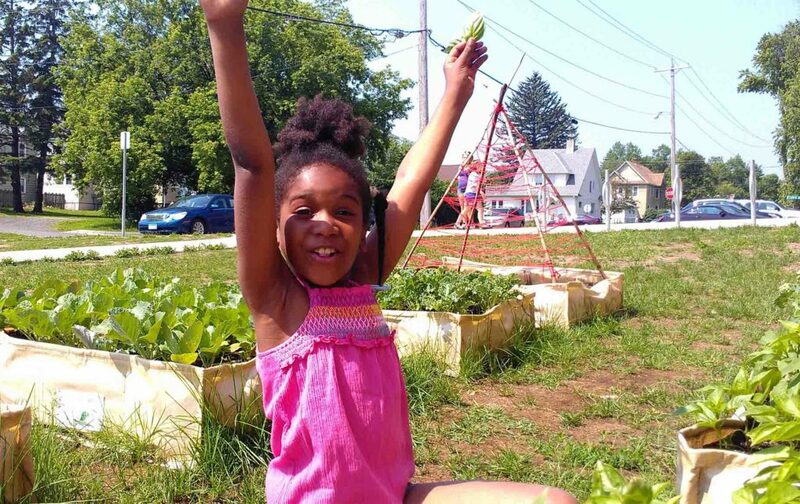 Grown and organized by community members, these gardens beautify neighborhoods, provide space to grow healthy food and serve as places members of the community gather, socialize and learn. Our raised bed vegetable gardening program donates raised bed boxes, soil, compost, vegetable plants, seeds, webinars and other educational resources to organizations serving low-income or at-risk children and families. The Garden-in-a-Box program connects people to the food they eat by showing them how it's grown, and encourages healthy eating habits through garden commitment and simple, tasty food preparation options. We provide many educational opportunities to our members (who get discounted rates) and anyone else who wants to learn about plant- and garden-related topics. Classes, presentations with garden writers, hands-on workshops, tours and exhibits at large events.